The year is 79AD. Mount Vesuvius has been spewing ash and rock into the air for over 12 hours under an ominously darkened sky. You didn’t even know it was a volcano until the moment it erupted. Since then, you and your family have been huddling in the boat houses near your home in Herculaneum, praying for rescue. You attempt to comfort your children, but your own trembling hands betray your projected confidence. There is a loud rumble in the distance, and then silence. For a moment, you think you may be able to survive until morning. A new rumbling begins, growing steadily louder and more violent. You cling to your children and look to your shelter to protect you. Suddenly a pyroclastic surge (a high velocity mixture of superheated gas and rock) slams into Herculaneum. In an instant, the temperature climbs to over 500 degrees celsius (nearly 1000 degrees fahrenheit). There is no safety from this deadly wave, no shelter. Death is swift. You feel nothing. I’m in the ruins of Herculaneum, standing in front of the very same boat houses and looking at the skeletal remains of real people who actually experienced that terrifying reality. Left with no other choice but to hide and wait it out, they were instead instantly burned alive and seared into position. Ash and mud have preserved these ghosts of Vesuvius until they were only recently unearthed. 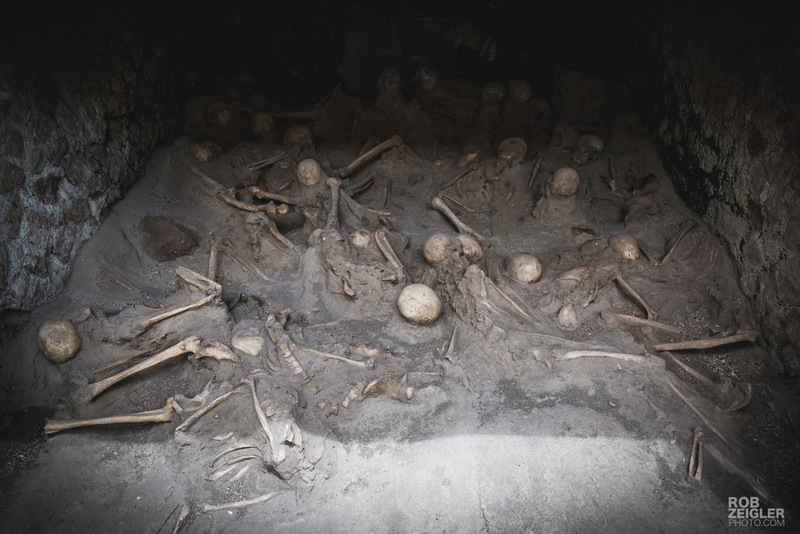 I find myself staring at these remains just like the rest of the visitors to Herculaneum. We all stand in silence and analyze every nuance of posture to try to identify what they must have been going through just before they died. My eye is drawn to the ones who are lying against one another and the ones that have their arms wrapped around each other. Even 2,000 years later, a person in a completely different era who can only see your bones can still identify the powerful bond of a loving embrace. The sky begins to darken, but this time it is only a storm moving in from the north. 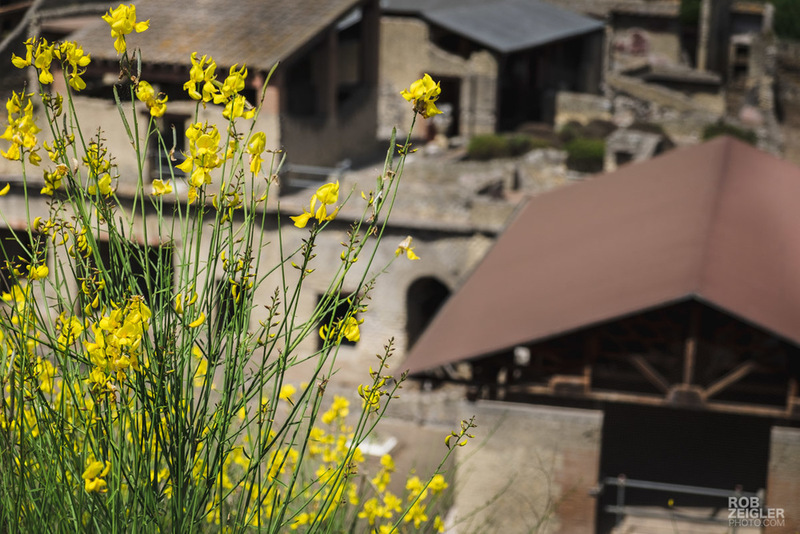 Before leaving Herculaneum I take one last glance down at the ill-fated city from the flowers and foliage that now flourish atop its remains. Above the ruins, the modern-day city of Ercolano braces for the storm that is rapidly closing in, and the wind begins to pick up ahead of the menacing black clouds. Thunder rumbles loudly. In the distance I see Mount Vesuvius, silently looming over the lands and cities it destroyed so many years ago. It sits quietly now. And waits.